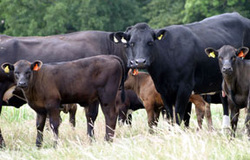 Cattle are finished in purpose built finishing yards. Much of the farm's success is attributable to a close working relationship with independent nutritionist David Hendy. Cattle liveweight gains during the finishing period are monitored monthly, with steers and heifers averaging around 1.3 kg/day. Feed intake is monitored daily, and feeding quantities are adjusted weekly. 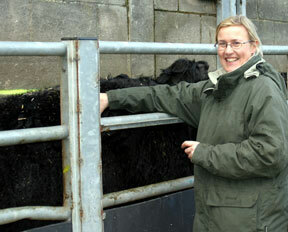 The finishing cattle are fed twice a day thus ensuring the food is fresh. Beckhithe Farms finishes around 900 cattle each year. Heifers at 18 - 21 months averaging 580kg and steers at 18 - 22 months averaging 620kg. The cattle are sold deadweight on the 'EUROP' grid with each animal individually classified for conformation and fat level. An analysis of prime cattle sales shows that 93.6 per cent of the animals sold met the ideal target specification (mid-U to O+) Average carcase weight for all cattle was 319.5 kg at 22.5 months of age, with an average kill-out percentage of 52.28%. Beckhithe pay extreme attention to detail to ensure the animals they finish are at the optimum grades required by their buyer. High standards of animal welfare and husbandry are paramount, with full traceability from plough to plate. 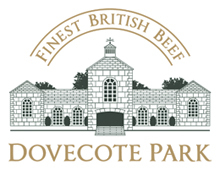 Beckhithe pay extreme attention to detail to ensure the animals they finish are at the optimum grades required by their buyer.